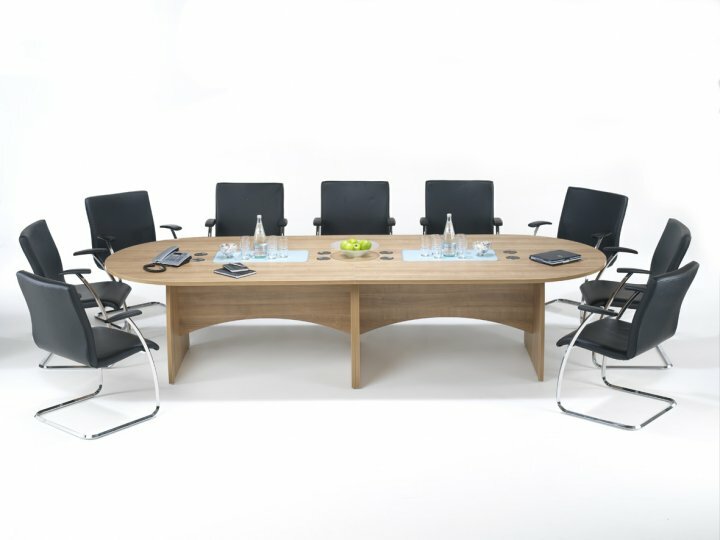 The Distinction boardrooms are manufactured in the UK and available in 15 finishes, all with Free Delivery and Free Installation. 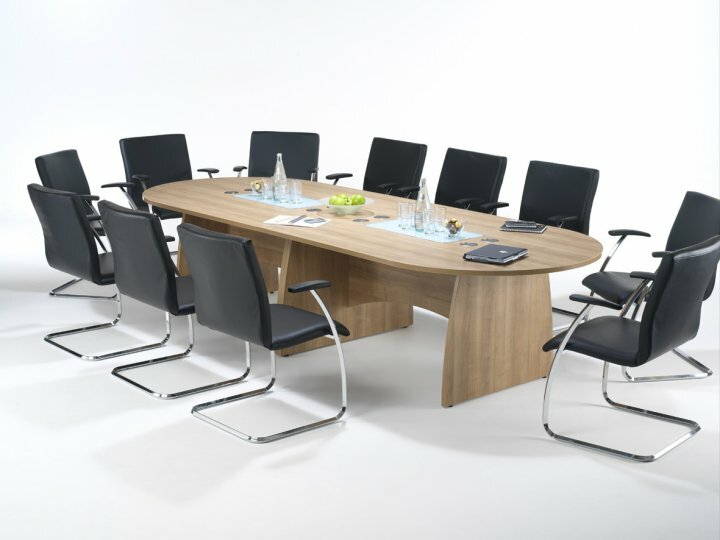 The range includes a full range of styles and sizes there is also a complementing range of storage and office furniture so you can tie in your entire scheme or simply have a stand-alone boardroom table. Manufactured in the UK the Distinction range of boardroom tables has been selected for its quality, value for money and choice, with 15 finishes to choose from all available in 10-15 working days you can be sure to get a boardroom table that will enhance your current furniture or decoration. The Distinction boardroom table range can also be customised with the addition of our cable management systems, integrated into the table, to create a multimedia platform not normally only associated with the most expensive top end boardroom tables. To further compliment the Distinction boardroom tables we offer a free design and space planning service, managed in house by our team of designers, contact us today for more information or browse through our products.